One little girl dreams of being a star. But whether it's finding Mom's lost wedding ring or winning the costume prize, her big sister always shines brighter. In her grandfather’s eyes, though, she is a star. As he dries her tears and they both gaze up at the night sky, he tells a story about how everything and everyone is made of stardust and we all shine in different ways. 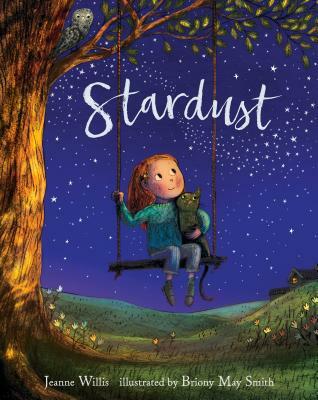 With illustrations from new talent Briony May Smith, this is a touching story about being true to yourself from award-winning author Jeanne Willis. Jeanne Willis wrote her first book when she was five. After that, there was no turning back. She has since written more than three hundred books and has won several awards, which are arranged in the attic where she works along with her collection of caterpillars, pink-toed tarantula skins, and live locusts. Jeanne Willis lives in London. Briony May Smith grew up in Sandhurst in Berkshire, England, playing in the garden with her younger brother and sister. She now lives in Devon, where her workday mainly consists of drawing fairies, interrupted only when her dog, Finbar, demands his walk. Her work is inspired by fairy tales, folklore, and life in the country.